We talk about mobile event apps and the importance of them all the time on our blog: how mobile event apps increase engagement, provide marketing opportunities, can generate revenue and more. Mobile event apps are great – but what about when an event professional is sitting down at their desktop or laptop ready to crank away? TrackingTime – Whether you’re tracking your solo time as a freelance event professional, o r your team needs a group time tracking too, this is a great tool to track time, with strong analytics and reporting to help keep event professionals optimizing their time. TrackingTime even has a Slack bot, integration! Noisli – Are you a pluviophilenoislinoi? Do you work best with headphones on – and white noise blaring, trying to sound out the rumble of the open office, or do you love the ambient background noise of train tracks and coffee shops? Noisli helps keep event professionals stay focused by providing the sounds that help you stay engaged and focused, while tuning out the background. Hootsuite – We’ve shared the value of tools like Hootsuite and Buffer in the past – where you can schedule content to be shared across event social media pages at a later time. Hootsuite also lets you track what times event professionals’ posts receive the most engagement, helping them to optimize their social sharing schedules. Buffer – As we’ve mentioned, Buffer and Hootsuite are very similar tools. It’s probably a matter of personal user experience that is the biggest component. 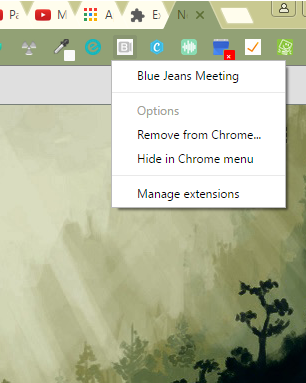 As far as Chrome extensions however, Buffer and Hootsuite are both great scheduling tools – that allow you to schedule messages from any site, anywhere. Canva - There a million and one online graphic editors, and perhaps half of them are available as apps and extensions for Google Chrome, but none quite compare to Canva. Not only does Canva have the most impressive pre-designed, easy to edit, layouts – but should event professionals choose to upgrade for $12.95 a month, you can magically recreate your designs in a flash, to match any other size image you need as well. infographics outside of Canva, than Piktochart is every event professional go to Chrome app. Simple to use, no graphic design experience required – Piktochart is the dream of every #eventprof in a pinch! AdBlock Pro (Free) – What event professional wants to be annoyed with pesky popups, and advertisements when they are trying to stay focused and get shi* done! AdBlock Pro is a Chrome extension that will stop the ads and the popups, allowing event professionals to see only the content they want. Adblock for YouTube – Ditto the above, but for YouTube! Event professionals can now watch the best Ted talks, ad free! When aren’t event professionals writing? Emails, agendas, content, marketing and promotional material, press releases, instructions, SOWs, RFPs, the list go on and on. 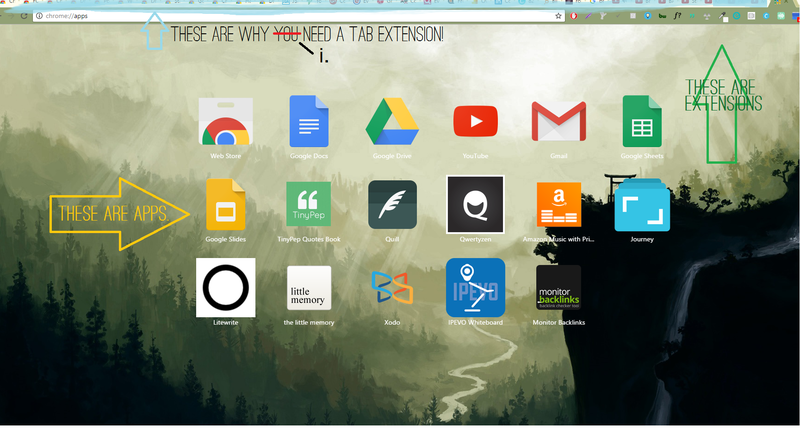 Event professionals can utilize the following apps and extensions in Google Chrome for better writing. Ginger - Similar to Grammarly – but with obviously a way cooler name, that every event professional should love. Truly speaking, however, Ginger & Grammarly are both tools that can help proof your text anywhere online – Ginger does offer a non-native English component. LastPass Password Manager - You have a password for your email, your CRM, your CMS, your bank, your social media accounts- the list goes on and on. LastPass securely keeps track of your passwords and gives you secure access from any computer or mobile device. Google Calendar - If you use Google calendar to keep track of your day to day, week to week, and year by year, this awesome extension allows quick access to checking your calendar as well as easily adding new events from any website you visit. Download to Dropbox - By the same accord, if you’re going to download something from the internet, instead of having to manually then add to your dropbox, you can choose to download directly into your dropbox folder. DocuSign - Stop having to download, print, fill out, sign, scan, and re-email – sign and fill out PDF forms – all those registration and RFP’s, SOWs, etc. online – no printing necessary! Every event professional, no matter their specific ‘focus’, knows that we all wear 17 hats, which isn’t hard at all since we have 10 arms and legs. These online marketing Chrome apps for event professionals can truly at least make the load a bit less burdening. Clkim Branded Url Shortener – We first discovered Clkim from AppSumo – and even ‘back in the old days’ when we had to hike…. ten browser tabs over… and open up clkim.com to create a shortened Clkim url, it was worth it. So when Clkim recently added their new chrome extension – so we can stay on whatever page we’re at and make a short, shareable url – well, we swooned . Eventually, we’ll write exclusively about our love affair with Clkim, but for now – if only to utilize the basic short url creator extension, check them out! Bit.ly - Similar to Clkim, Bit.ly is used to stop wasting valuable characters when sharing urls across twitter, keep track of how many people are clicking the links you share, and more all from the power of your browser. The Landing Page Checklist – Whether you utilize Unbounce (the creator of this extension) and their easy to build but wildly successful landing page creator, or you’re using other tools such as Hubspot, leadpages.net, etc. – this Google Chrome extension is perfect for event professionals. When building your events, next landing page compare your landing with The Landing Page Checklist to make sure all landing pages are optimized. If you’re like most event professionals, when you’re not onsite actively executing live event engagement success – you’re sitting behind your desk for multiple hours. These apps keep you healthy, mindful, and in tune with your body, without having to remember! Posture Minder – Similar to 30s Neck Stretch, Posture Minder pops up every so oft with reminds to adjust your posture. Studies show that sitting properly while at your desk can make a big difference to both your overall posture and your health, so this simple reminder is a great extension! Drink! -Another simple reminder, which can be set up to remind you as oft or as not so oft as an event professional may want – this app pushes a pop up every so often, reminding you to drink that essential beverage (no not wine), h2O. Additionally, for the purpose of this resource, we did not hide our extensions – and some event professionals may think “I don’t want that much of my search bar taken by countless extensions!”. There a multitude of beneficial, powerful and worthwhile apps and extensions available for event professionals within Google Chrome. The goal though, for every event professional, should be not to get distracted with the multitude of Chrome extensions and apps – and instead use them only as a resource to assist you in your every day event professional days!